Texas Senator condemns latest terrorist attacks, urges Congress to step up efforts to stop PA's "play-to-slay" policy. 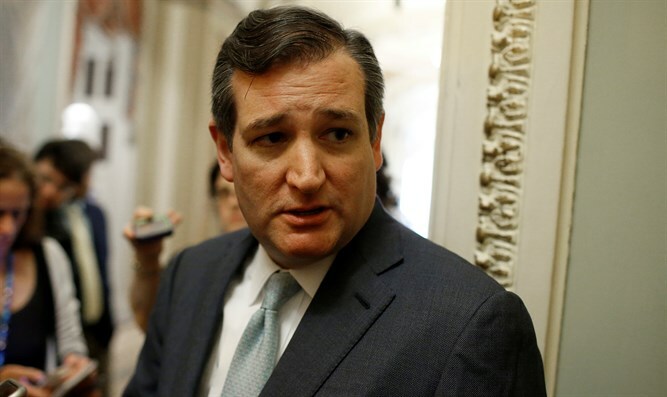 US Senator Ted Cruz (R-TX) on Thursday urged Congress to step up its efforts to halt the Palestinian Authority’s (PA) “pay-to-slay” policy in the wake of the latest terrorist attacks against Israelis in Judea and Samaria. "Palestinian terrorists have killed or wounded over a dozen Israelis in the last week. My prayers are with the Israeli victims and their families. Congress must redouble efforts to halt the Palestinian government's pay-to-slay programs, which incite and encourage this terrorism,” tweeted Cruz. His tweet followed the latest attack in Givat Assaf in the Binyamin region, in which two soldiers were murdered. Earlier on Thursday, US Ambassador to Israel’s David Friedman similarly condemned the PA’s policies that reward terrorists. On Sunday, the US Ambassador to the UN, Nikki Haley, also called for an end to the PA’s policy of paying terrorists and their families, following the attack at the Ofra junction.